A focus on empowering people to ask the right question will help the net deliver the answer. Progress is part of being human. The opportunity to tackle an obstacle that was previously believed to be impossible drives industry, innovation and an unquenchable thirst to know more. As our connected world develops, sharing ideas and speeding up answers is becoming an addictive pursuit where shortcuts and convenience overpower accuracy and the ability to ask the right question in the first place. The internet is an infinite universe of answers. It provides instant gratification to those with a question, while taking no responsibility for its services. It has no opinion on the validity of its data and no judgement on its accuracy. It merely serves up what it believes are the answers to a question. Responsibility for the answer, therefore, lies with the individual. A valid answer lies in the art of constructing a question that successfully filters out all redundant information. It should not be enough to be informed; answers should leave you educated. Public relations in the digital age is about empowering our audience to ask the right questions. It is about enabling the process of finding a solution, not just the solution itself. An area in which the thirst for knowledge is endless is healthcare. Time is everything and the speed at which a problem is identified and solved, whether for an individual, a global pandemic or the development of a new treatment, can literally mean life or death. The internet encourages communities of people to share their information and opinions, to comfort and seek understanding, often during times of emotional turmoil. Times when people need to be able to know that the answers they get are the right ones, valid and comprehensible, in the context of their need. But too often, these questions are vague, a result of not knowing what you need to know. On trawling through the overwhelming amount of health information available online, it is simple to steer off course and arrive at what 'looks' like an answer. The problem doesn't just lie with this desensitising maze of information. The complexity of scientific language, the lack of access to your own medical records and the invalidated nature of online conversation combine to create a mirage; something that looks like an answer but that holds no authority or substance. The issue is particularly apparent in healthcare, as the net empowers people to become active partners in their own wellbeing. Behavioural change is needed in the way in which holders of answers interact with questioners. Professional communities can no longer hide away. As the net brings patient power to the fore, the medical community has to examine its use of language. Extra effort to change medical and scientific information into a dialect that the net can understand and translate would instantly bring more substance to the conversation. Why are there no translation apps in the medical world? Better use of universal platforms by medical professionals and a commitment from the platforms to build stronger health offerings would also help. While the net takes no responsibility for its answers, perhaps the owners of the platforms could. As comms professionals, we are responsible for influencing the levels of understanding of a topic and an ability to interpret the information into a personal context. Guiding people to find the right answer stems from moulding the question. If we focus on empowering people to get the question right, the net will deliver the perfect answer. It allows a family's health gatekeeper to share thoughts more visually, giving others the opportunity to 'take' what is appropriate, without sifting through info that is not. Done well, Pinterest is crowd-sourced, personalised healthcare. What is the best example of user-generated content this year? Martha Payne's NeverSeconds blog shows that the best ideas don't need workshops, brainstorms or 'ideation' officers to make an impact. With a camera phone, a concerted effort and a good cause, a nine-year-old has lit up the world. 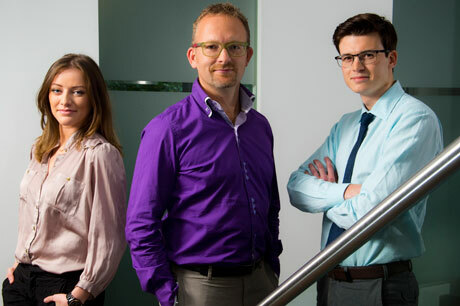 Nick Bartlett is European head of digital.social at Chandler Chicco Companies and inVentiv Health Communications Europe; Daniel Bunce is healthcare comms specialist at Biosector 2; and Grainne Quinn is healthcare specialist at Biosector 2.